We’re back! As of an hour ago, Bowl #2 and I are back in our Brooklyn nook, a little tanner, a lot rounder, kind of sleepy, and trying to remember what it’s like to be hungry. 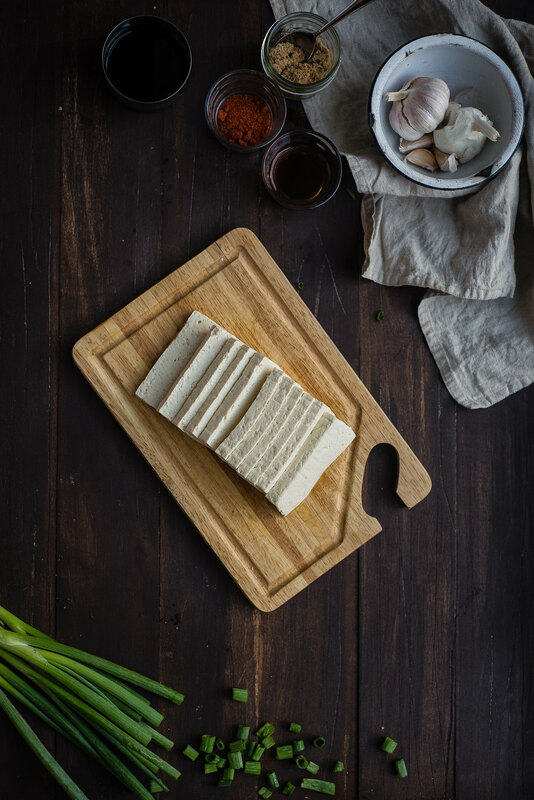 When it comes to tofu, I’m generally not persuaded by it unless it’s the chewy dried version that crops up in stirfries and savory braised meat dishes (or, if my dad is involved, eaten plain out of the package). But when Bowl #2’s mother introduced me to this banchan last fall – incidentally, on our last trip to visit his family almost exactly a year ago – I was totally smitten, even despite my textural bias. 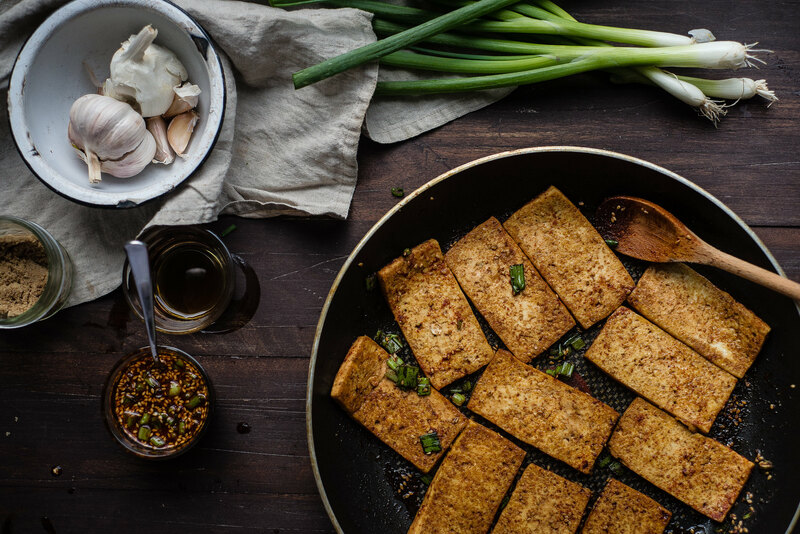 The tofu is pressed with paper towels to remove moisture, then briefly panfried to add a touch of crisp, and finished by braising in an intensely flavored soy sauce and sesame oil mixture, punctuated by bright scallions, garlic, and a touch of red pepper. It’s vegan, and if you use tamari, gluten-free – more importantly, it’s just really good. Hop on over to Sherrie’s blog for the recipe! And now it’s time for a nap! Hope you’re all having lovely Wednesdays! I just checked out the recipe, and it sounds DIVINE. I’m going to make some and refer to it only as dubu jorim, because if I say “tofu,” 2.0 will be afraid to try it. Thankfully, he’s easily fooled by exotic vocabulary. HAHAH Movita your comments never fail to make my day. I hope you love it if you try it!! Baha yes!!! I know exactly how you feel. 🙂 Thanks so much, Abby! I make a really similar dish to this all the time, it’s so tasty, but you make it look a lot better than I do! Isn’t it amazing? And thank you for the kind words, though I doubt they’re true :)! I am fan of tofu in all kinds like your dad but these braised/fried types are my favourite. I will simply have to stop by the store to get myself a pack of tofu for tomorrow night. Yes!! Braised tofu all the way 🙂 Thanks so much, Belinda! Looks delicious Cynthia! 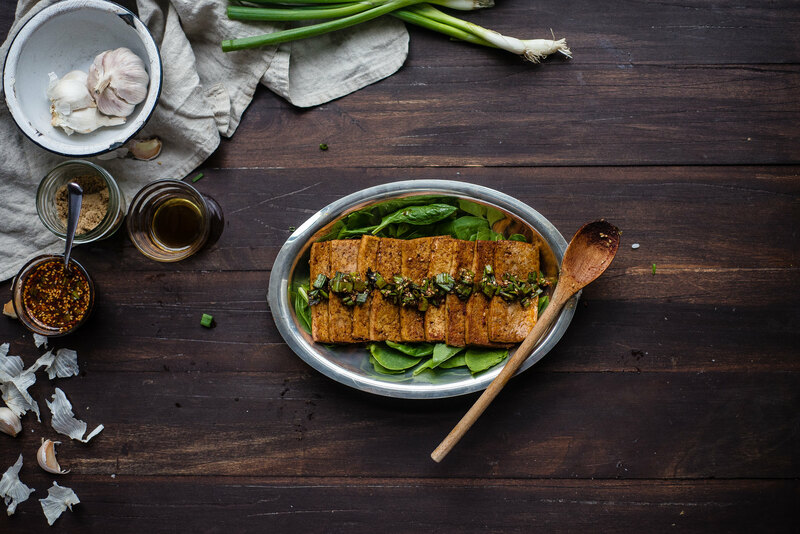 I’m quite a tofu enthusiast so love the recipe! Welcome back from your much-deserved vacay! Too bad you can’t have a vacation from vacation when you get back home – I always find it such a grind going straight back to work afterwards. I looooove tofu and your version looks and sounds delicious! 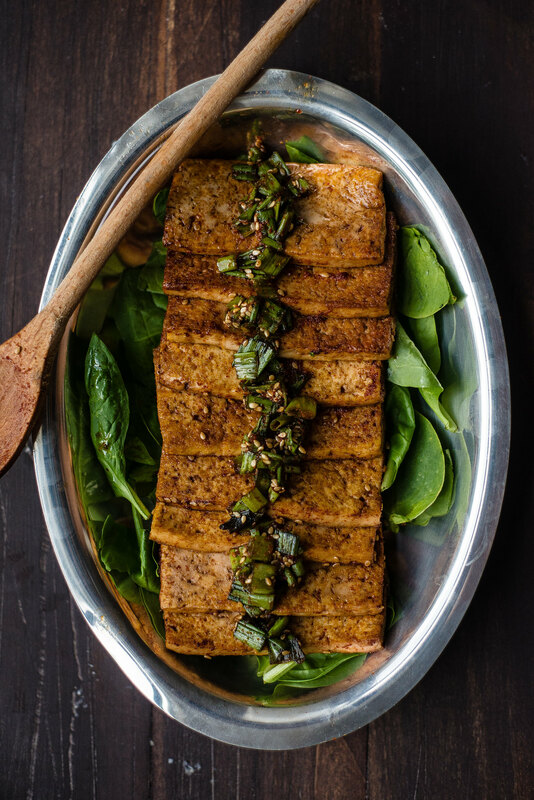 You got the perfect sear on your tofu. Heading over to check out your post! Right? I’m patting myself on the back for coming back to a two-day week 😉 haha! Thank you so much, Nancy!! xoxo Thank you so much, lady!! oh, i could so have this for lunch now!! 😀 looks very delish! Thank you so much, Emilie!! I’ll trade you for some of those gorgeous almonds 😉 ! Even though I totally eat tofu plain from the carton — cold, unpressed, untouched — and I love it so, THIS sounds just wonderful. I’m so happy to have invested in a giant package of Korean chile flakes, they are wonderful! Can’t wait to try this…. would certainly make my salads interesting as a topping!…. love to you! Oh my gosh, using this in a salad would be so genius! I’ll have to do that the next time I make this! Thank you so much for the inspiration and the kind words :):) hugs back!! I have never been successful when it comes to tofu. But these pictures have won my heart! Just gorgeous. Welcome back home! Love this, Cynthia! 🙂 I do remember eating – and loving this! I’m not a fan of tofu, but was this good! And it uses ingredients i easily have access to, so I’ll make it and let you know how it goes! Do you eat it with some other side? Ooh, I can’t wait to hear what you think!! Yes, it’s traditionally served as a small plate with your main meal and rice 🙂 Thank you, sweet lady! <3 <3 Thank you so much, lady!!!! You were much missed too -- I can't wait to catch up!!! CONGRATS on finding a new apartment!! This looks amazing!!! 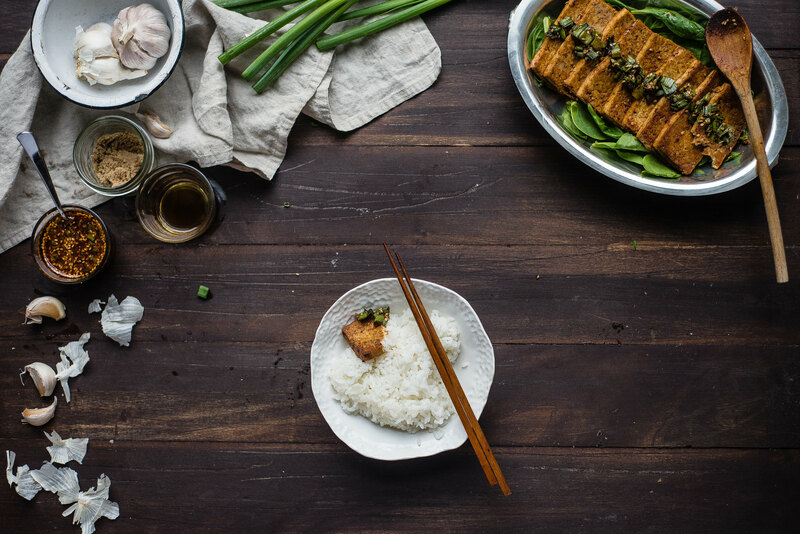 I love tofu, but making the same ol’ tofu dishes over and over can get a little boring. This recipe looks like a great way to breath new life into the ingredient! This looks so good! I,too, am more picky about my tofu. I’m definitely bookmarking this recipe! Thank you so much, Karishma! HAHA more like AMAZING tofu pun alert. And YAY how exciting you’re coming to BK!!!!! Yes we have to talk recs!! Welcome home! This looks sooooo good!! Not to mention, pretty easy—your a guru! You are amazing in so many ways!! Thank you, thank you, thank you for helping me out and crafting such a beautiful post in the midst of all you have going on girl. Alana, I’m pretty sure this wins as best comment ever. Thank you so, so much! I’m so over the moon that you liked it so much, it’s honestly made my week. A million hugs and thanks for making it and for letting me know! I cannot see the recipe?! I figured either I was going crazy or missed something. Lol Thank you! !